Over the past few months, New Haven Farm Home clients have made some fantastic achievements in working towards their individual goals. Michael lives at New Haven Farm Home’s semi-rural property at Freemans Reach. He has a real interest in attending and being involved in meetings about our community. He is particularly interested in learning more about the Mayor of Hawkesbury. Michael recently attended the AGM for Nepean Community College, where he is completing his reading and writing course. Michael had the opportunity to speak at this meeting and did a fantastic job! Every Friday, Michael goes to Zumba at the Active8 Gym in Richmond. He loves going to zumba, dancing and exercising to some of his favourite music; having fun and looking after his heath and fitness at the same time. 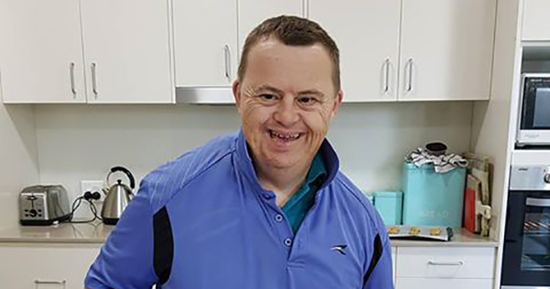 Michael loves being out in the community; socialising; going to clubs; out for a cappuccino and participating in every day activities such as doing the grocery shopping; going to his reading and writing class; going out and chatting with his friends. 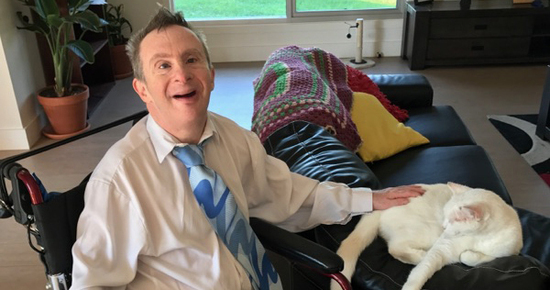 Michael is currently working towards his goal of participating in more activities that build his social skills and enable him to be included in mainstream society.